Family run restaurant right in the centre of St Ives, Pizza Town offers a wide range of pizzas and other Italian dishes. This friendly restaurant offers food of the highest quality in a great location. As well as the restaurant, Pizza Town, St Ives offers a take-away service. 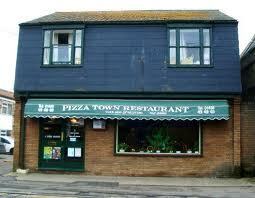 Highly rated by customers – check the reviews of Pizza Town, St Ives on TripAdvisor – see opposite. Pizza Town St Ives updated their cover photo.